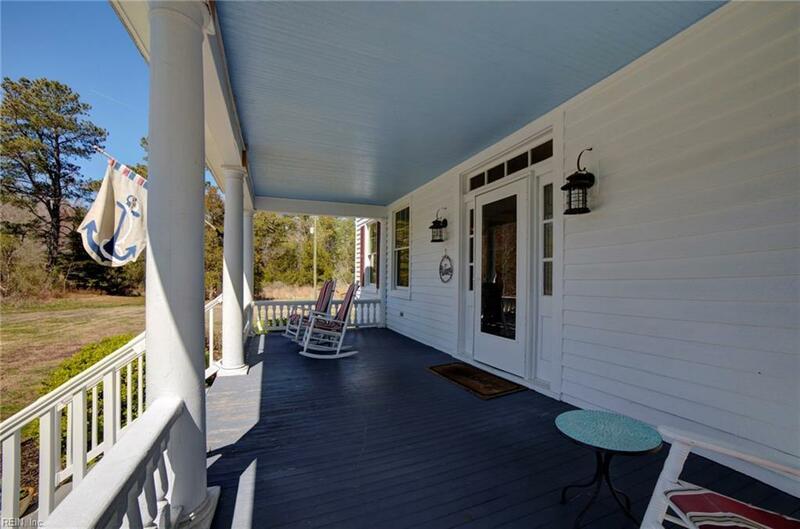 Charming American Foursquare was built in 1920 by a local shipbuilder on a portion of the original Borum Homestead. 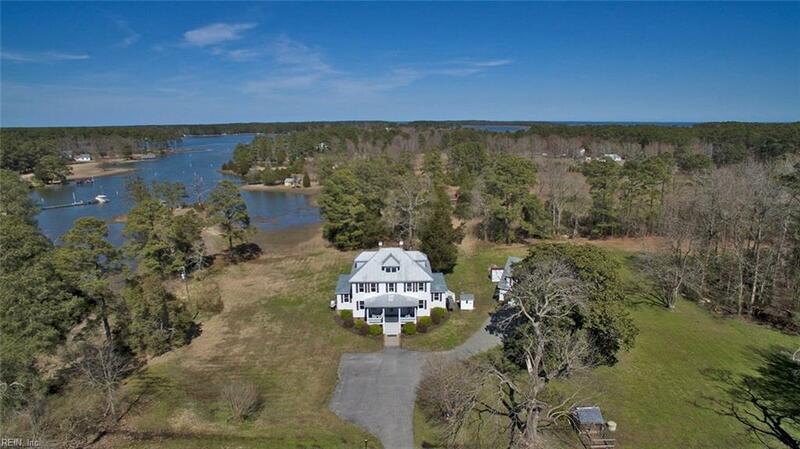 Overlooking the well protected waters of Borum Creek, less than 2 miles from the lower Chesapeake Bay, this home offers unsurpassed privacy with 26.64 acres of mature timber as well as open fields. 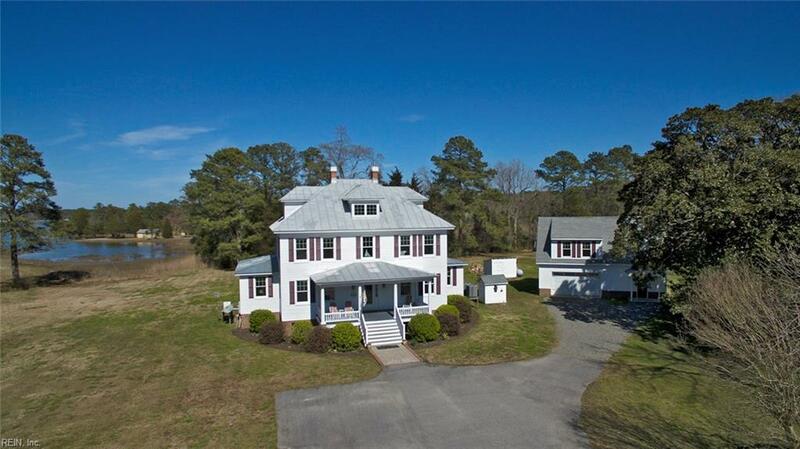 The "Pearl of the Chesapeake, Mathews County, still boasts that there is not yet a traffic light to be found within its borders. This home has great bones!! Owners spared no expense for renovations in 2010. This home now offers amazing upgrades throughout to include, custom kitchen, Master Bedroom Suite, second floor laundry, completely new plumbing, electrical, 3 zone high efficiency heating and cooling, tankless water heater, energy efficient windows as well as two additions featuring an office, mud room and full bath. 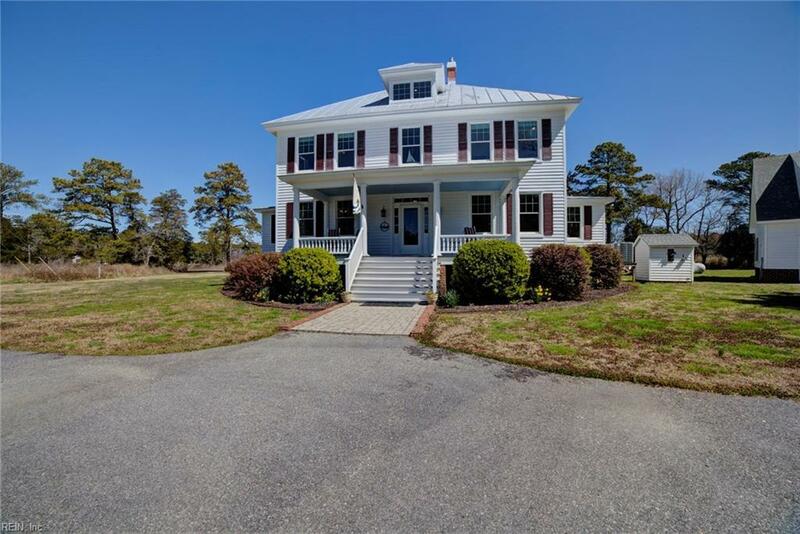 A large three car garage has been recently constructed with the option for a second story apartment as well as a pier with water and electric.